Wait! Before you get started with all the info about shipping, I drove to Walt Disney World and don’t have to worry about shipping (there’s loads of room in the car! ), but I do have a quick question about carrying around purchases I’ve made in the parks. Basically, I don’t want to do it. What are my options? No worries. 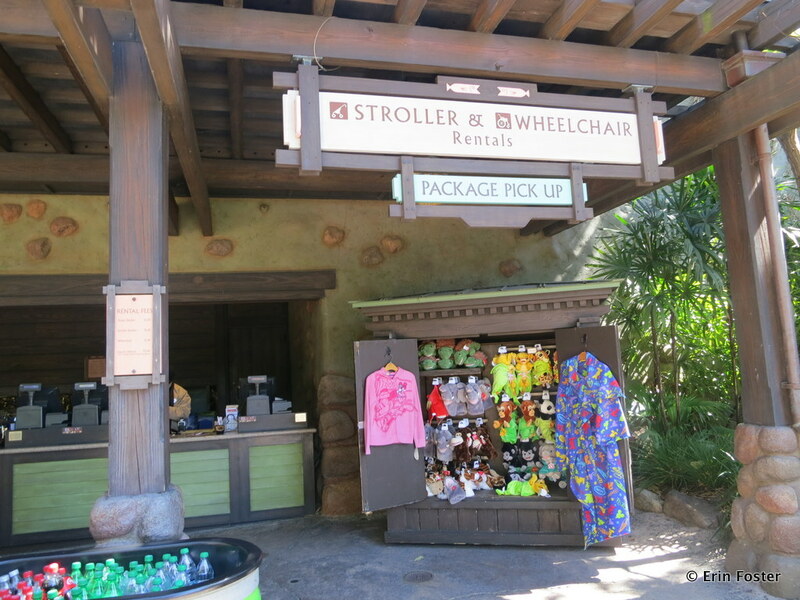 Nearly all of the in-park merchandise shops have two ways of helping you deal with purchases in the short term. You can either have your merchandise sent directly to your hotel, or you can have it sent to a “Package Pickup” office at the front of the park. There are plenty of signs in the WDW shops to remind you that you have many options for getting your merchandise purchases home. What does “Package Pickup” mean? 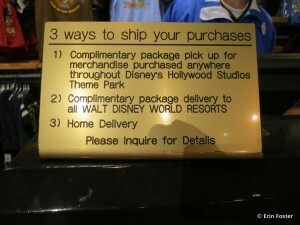 Package Pickup is an in-park delivery/holding service. You buy something and instead of having to carry it around all day, it’s sent to an office at the front of the theme park (or possibly back if you’re at Epcot) so you can pick it up later. Let’s say you’re at Mouse Gear at Epcot and you want to buy a couple of sweatshirts for the folks back home. You don’t want to schlep them all over the World Showcase while you spend the afternoon drinking around the world. So, WHILE YOU’RE AT THE REGISTER, tell the sales clerk that you’d like to use the Package Pickup service. 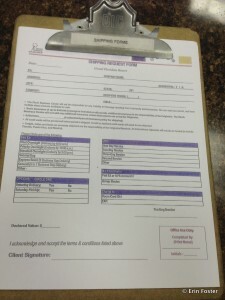 They will give you a very simple form to fill out (name and address basics). You get a receipt and you’re on your way. Later in the day, return to the Package Pick Office, hand them the receipt, and your sweatshirts will once again be yours. Nope. No charge at all. Disney wants you to buy lots of stuff and they’re trying to make it as easy as possible for you to do so. Package Pickup desk at the front of the Animal Kingdom park. So where are the Package Pickup offices located? They’re right at the front of all the parks, plus there is a second Package Pickup desk at Epcot, located near the International Gateway. Check your map if you need a refresher. 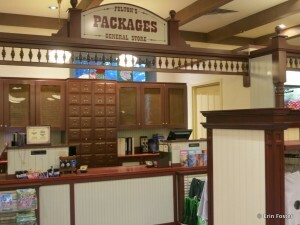 There are two Package Pickup offices at Epcot? Yep. Make sure you specify which one you want to use. 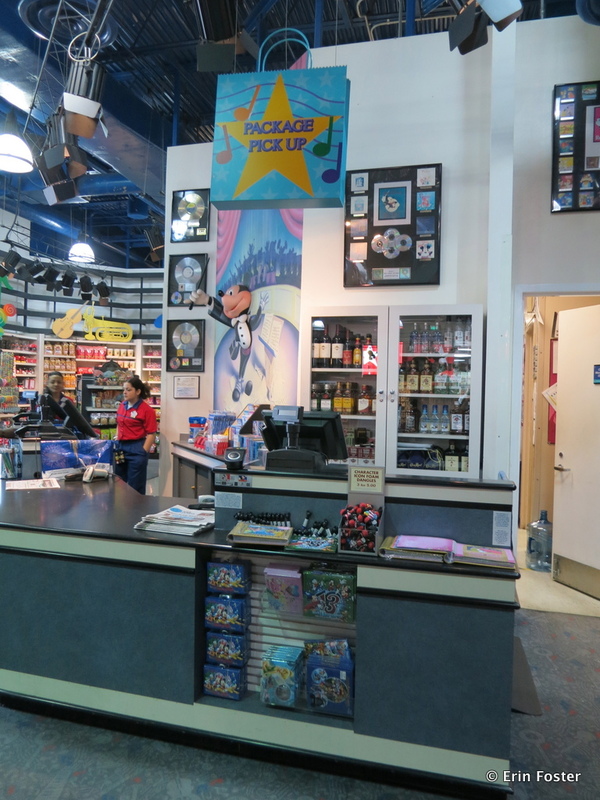 If you’re staying at one of the Epcot area resorts (Yacht & Beach Clubs, Boardwalk, Swan, or Dolphin), chances are you’ll want the International Gateway Package Pickup office. How long will it take for my purchase to get to the Package Pickup office? You should ask the clerk when you’re making your purchase, but generally expect it to take about three hours. Do NOT plan to use Package Pick Up if you’re just spending an hour or two in the park. If you’re there for just a brief time, but can’t carry something around, consider renting a locker. Are there any restrictions on who can use Package Pickup? Nope. This service is available to everyone. 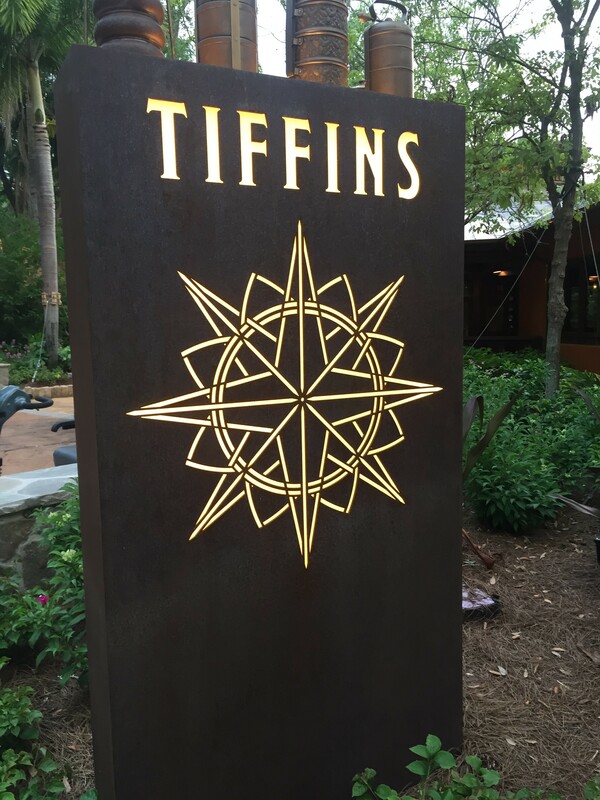 You don’t have to be a staying at any specific hotel, on Disney property, or have any particular type of ticket. You have to complete the same simple form for either Package Pickup or Resort Delivery. I’d rather not have to deal with a bulky purchase on the bus back to my hotel, what are my options? If you’re staying at a Disney resort, or a handful of other off site locations, you can take advantage of Disney’s Resort Delivery service. Again, WHILE YOU’RE MAKING YOUR PURCHASE tell the sales clerk that you’d like your merchandise sent back to your hotel. 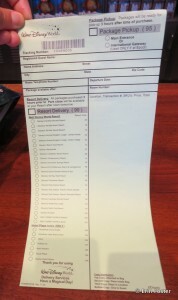 They will give you the quick-and-easy green form to fill out. They’ll hand you a receipt and you can be on your way. Your merchandise will be sent directly to your hotel. Still no. This service is free. Guests of which hotels can take advantage of Resort Delivery? This list is subject to change, but currently guests staying at the following hotels can have their purchases sent directly from an in-park shop to their resort: All Star Movies, All Star Music, All Star Sports, Animal Kingdom Lodge (and Villas), Art of Animation, Beach Club (and Villas), Boardwalk (and Villas), Caribbean Beach, Contemporary (and Bay Lake Tower), Coronado Springs, Fort Wilderness, Grand Floridian, Old Key West, Polynesian, Pop Century, Port Orleans (French Quarter and Riverside), Saratoga Springs, Wilderness Lodge (and Villas), Yacht Club, Shades of Green, Swan, Dolphin, Doubletree Guest Suites, Wyndham Lake Buena Vista, Hilton Orlando Lake Buena Vista, Holiday Inn, Best Western, Royal Plaza, and Buena Vista Palace. 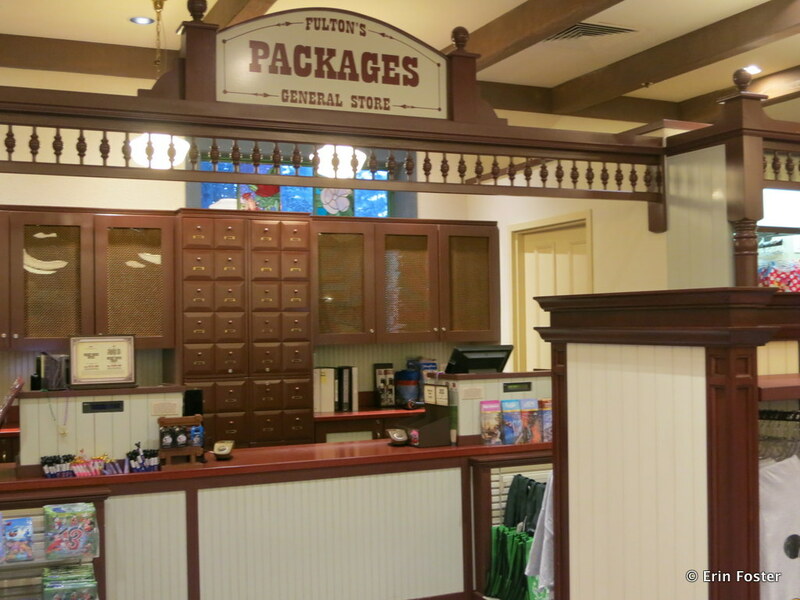 Package Pickup desk in the Port Orleans Riverside gift shop. Will they send my package directly to my room? Sorry, no. All Resort Delivery packages will be sent to a central desk at the resort. This is always located within one of the hotel gift shops. If your hotel happens to have more than one gift shop (some of the deluxe resorts do), just ask where to go. To claim your package, give your green receipt to the clerk at the Package Pickup desk at the resort. They’ll go to the back office and bring it out to you. How long will it take my purchase to get back to the resort? You can usually get your package at your hotel after 3:00 p.m. THE NEXT DAY. For example, if you buy a sweatshirt at Mouse Gear at Epcot at 11:00 a.m. Monday morning and ask for it to be sent to you at Port Orleans Riverside, it will not show up at POR until 3:00 p.m. on Tuesday afternoon. Be aware that the resort delivery service is NOT something you can do on the last day, or even two days, of your trip. Besides not wanting to carry around a big bag, are there any other reasons why I’d want to use resort delivery? Well, it can help with hiding purchases from your kids, or your snooping spouse. 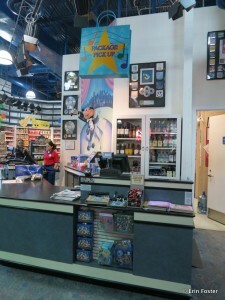 Resort Delivery Pickup desk in the All Star Music gift shop. Is there anything that can’t be sent back to my hotel using the resort delivery service? Disney will generally not allow food to be sent via Package Pick Up or Resort Delivery. This applies even to something like packaged cookies or candy. If you buy a sweatshirt and a box of Mickey Mouse shortbread, they will usually make you carry the cookies out of the store with you. During my most recent WDW visit, I bought some astronaut ice cream at the Mission Space pavilion. The cast member sales clerk took pity on me and allowed it to go through the resort delivery service, but this barely even qualified as consumable. This was the only time in dozens of uses of the resort delivery service that I had a food item make it through the system. OK, I got all that, but I’m flying home with only a carry on. What are my options for getting my purchases home? The vast majority of shops on property will ship items directly from the store to your home. They’ll pack it up, pop it in the mail, and it will show up later on your doorstep. This is a great way to deal with anything large, bulky, or fragile. Direct shipping may also be the best way to deal with items that may pose a problem with TSA/airline regulations. Examples of this might include items containing liquid (such as snow globes) or replica weapons (such as the swords sold at the UK and Japan pavilions at Epcot). 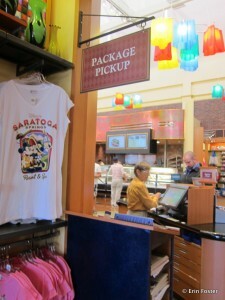 Resort Delivery pickup desk in the Saratoga Springs gift shop. How much will it cost to have my purchases shipped directly home? These rates are for shipping within the 48 contiguous U.S. states. Rates are higher if you’re shipping to Alaska or Hawaii. You’ll notice that as you spend more, a smaller the percentage of your purchase price will be spent on shipping. For example, if you buy a $50 item, you’ll spend $9.95 to have it sent home via ground shipping, or about 20% of the purchase price. But if you buy a $1,000 item (or combination of items), you’ll spend $39.95 to have it/them sent home, or about 4% of the purchase price. This means that it makes the most financial sense to do all your shopping at once, requesting one big shipment, rather than shopping over several days and making many small shipments. Claiming my Resort Delivery package at the Contemporary gift shop pickup desk. You have to sign to confirm that you've collected your package. Is there any way to get free shipping at Walt Disney World? I have heard of one shipping promotion. Sometimes the Arribas Brothers locations in the parks and at Downtown Disney will offer free shipping if you purchase more than $50.00 worth of merchandise. If you’re buying crystal, glass, or figurines it’s certainly worth asking if this promotion is in effect at the time of your visit. I live in Canada. Do regular Disney shipping rates apply to me? Sorry, unfortunately not. The rates for international shipping are much higher. For example, on a recent trip to WDW I saw a darling t-shirt dress with an image of Bambi. I tweeted this to my Bambi-loving buddy Kirsten, a resident of Ontario. She asked me to buy the $52 dress and have Disney send it to her at home. Instead of the $14.95 it would have cost to ship it to my home in New York (U.S. domestic), I was quoted a price of $50 to send this single dress to Ontario. Disney will ship to international destinations, but the rates may be staggeringly high. Always ask before committing. I’m not staying at a Disney-owned hotel. Can I still have a Disney gift shop mail a package to my home? No problem. Anyone can use this service. Does Disney do a good job of wrapping the packages it ships? In my experience, yes. Everything I’ve ever had them send to my home was securely wrapped. Whenever there were breakables, they were always well padded with bubble wrap and additional fill. I have a friend who did experience some damage to a fragile item she had shipped from Disney. She made a quick phone call and they sent a replacement out that day. The business centers all sell shipping boxes. I’m planning on doing much of my shopping at Downtown Disney. Can I have packages shipped from there? It depends, there are many shops at Downtown Disney that participate in the Resort Delivery service and the Disney ship-to-home service. I have personally used both at World of Disney, Trend-D, and D-Street. Other stores not owned by Disney itself may or may not participate. Be sure to ask before assuming that the service is available. I went “off campus” and bought lots of stuff at the Orlando outlet malls. What are my options for shipping stuff home. The primary way to deal with shipping any non-Disney-merchandise-shop purchase is to visit one of the five on-property business centers. They will ship anything for you – from your Harry Potter loot bought at your sojourn to Universal to the air mattress you used in the hotel so siblings Johnny and Julie wouldn’t have to share a bed. Disney will ship things you didn’t buy there? 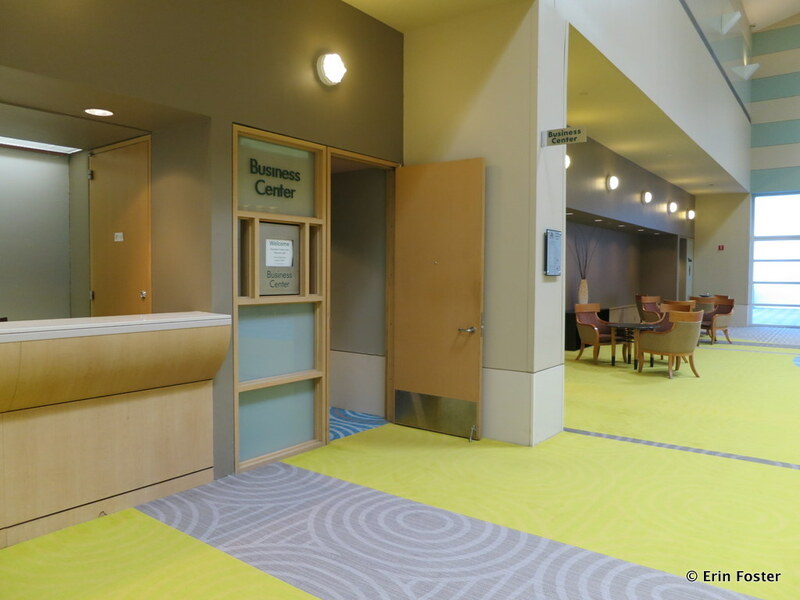 The business centers are on Disney property, but they are not run by Disney. They are operated by IKON Office Solutions/Ricoh. 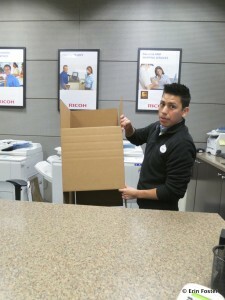 As long as it’s legal, Ricoh doesn’t care what you’re shipping. Where are the business centers located? 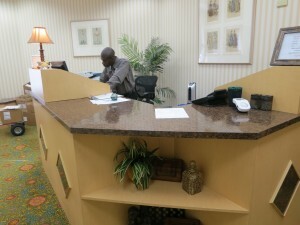 The business centers are attached to the resorts that have adjacent convention facilities. These are: the Contemporary, Grand Floridian, Yacht Club, the Boardwalk, and Coronado Springs resorts. Do the business centers have specific hours? 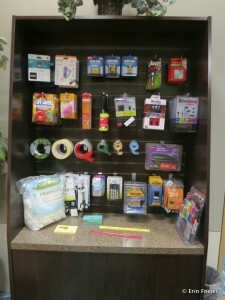 The business centers sell basic shipping supplies. I need a box to ship my stuff home in, can I buy one there? Yes. The business centers have everything you need for basic shipping. They sell small, medium, and large boxes, as well as bubble wrap, packing peanuts, packing tapes, labels, and other related materials. Do I have a choice of shipping methods? The business centers offer shipping via either UPS or FedEx, your choice. Just tell the clerk at the office which you prefer. The business centers ship using standard UPS and FedEx rates. These are based on the size/weight of the package, the distance the package needs to be shipped, and the speed shipping required. They’ll quote you price while you’re standing there. If you want a quickie estimate, you can do this on your smartphone via the UPS or FedEx website. Here too, be aware that international shipping can be significantly more expensive than shipping within the continental US. I took that Bambi t-shirt dress to the business center at the Grand Floridian to ship to Kirsten in Ontario. Because of it was going international, the Ricoh clerk could not (would not?) quote me a price, he just asked for my credit card info and said that FedEx would bill me directly. To avoid unpleasant surprises, I STRONGLY encourage you to use your phone to check the FedEx website for an estimate before agreeing to any international shipment. Other than the standard UPS or FedEx rate, are there any other additional charges? Yes. 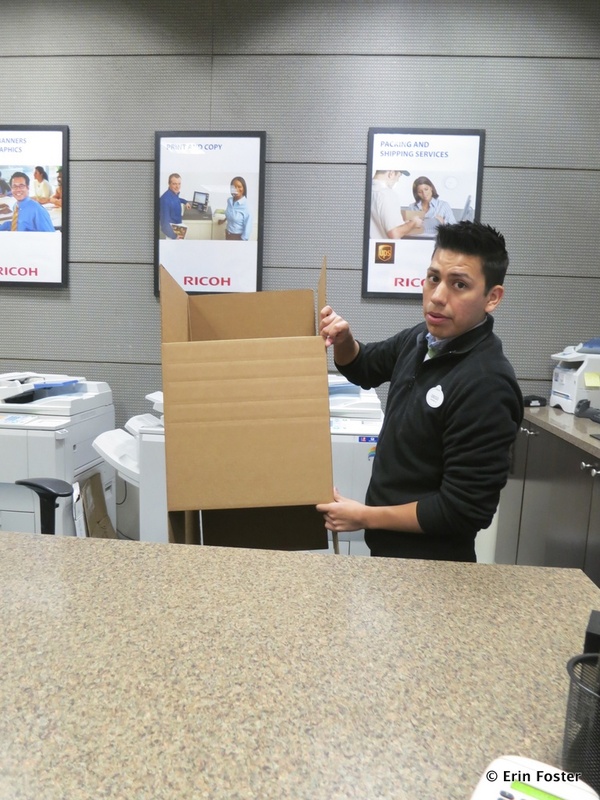 In addition to the shipping fee charged by UPS or FedEx, the Ricoh store will charge you a service fee of $3.00, $5.00, or $10.00 depending on the size of the package. Packages up to 4 pounds incur a $3.00 service fee. Packages from 5 to 20 pounds incur a $5.00 service fee. Packages from 21 to 70 pounds incur a $10.00 service fee. These rates are subject to change. The business center at the Contemporary Resort. Located inside the convention center adjacent to the hotel. I’m not staying at one of the hotels with a convention and business center, do I have any other options for shipping? Let’s say you’re staying at Port Orleans Riverside and want to ship something home, if you have lots and lots of stuff, they may simply tell you to take it to a business center. However, if you only have a box or two, they will very likely help you right at the hotel. Simply bring your box to the front desk and ask for help with shipping. They will will provide you with UPS or FedEx forms to get your shipment started. You will likely need to provide a credit card number for the shipping manifest. I’m not staying at one of the hotels with a convention and business center, what are my options for getting a shipping box and packing materials? You’re somewhat on your own for this. You will probably be able to find a nice cast member who will rummage around in the back office and find you an old cardboard box you can repurpose, and they’ll most certainly have tape you can use, but they won’t have a ready supply of other packing materials. If you need a specific size box or something like bubble wrap, then the business center is your best option. If you’ve sent a package to yourself at the start of your vacation, SAVE THE BOX AND PACKING MATERIALS so that you can use them again for the shipment home. Inside the business office at the Grand Floridian. All I want to send home are things I’ve purchased in the Disney gift shops. Am I better off having them sent to my house via the store or by taking my purchases to a business center myself? It really depends on the item(s). The Disney shop shipping rate is based on the purchase price of the items, whereas the business center shipping rates are based on the weight of the items and the distance to be shipped. Let’s take the example of a $950 diamond Mickey necklace. (And yes, these exist.) It’s a surprise for your lovely wife (awwwww) so you don’t want to carry it with you. If you have the gift shop mail it to your office, they’ll charge the $39.95 noted above. But if you take it to a business center, the basic rate will likely be much lower because the package is so small and light. Also note that you would have the option here to purchase insurance or make other adjustments to the shipping order. Shipping paperwork at the Grand Floridian business center. This all seems like overkill. Do I have any other options? Well, depending on what type of souvenir you’re buying, it might make the most sense not to buy it at Walt Disney World at all. Over the past few years, DisneyStore.com has added hundreds of items to its inventory that were previously only available in the parks. This includes collectibles, housewares, clothing, jewelry, ornaments, and even the iconic ear hats. It’s the exact same stuff they sell in the parks. DisneyStore.com has frequent sales of 10% or 20% off (sometimes more), and almost always offers FREE shipping for purchases over $75. Be sure to look for the free shipping promotion code at the top of the site. If you’re looking to buy a book, DVD, or other media item, it may be available less expensively on Amazon.com or another online retailer. If you have a smartphone or tablet with you in the park, there’s no reason not to do a little price check while you’re standing there in the store. WiFi is now available and free in all the WDW theme parks. Believe it or not, buying your Disney parks souvenirs online may end up being significantly easier and cheaper than buying them in the parks. You should also consider whether it might be easier/cheaper simply to bring an extra suitcase. Depending on which airline you’re flying, what your frequent flyer status is, and how much you’re buying, the fee for bringing extra luggage on the plane may be less than a shipping fee. And of course you could always decide not to buy so much on your trip that you need to think about shipping options. 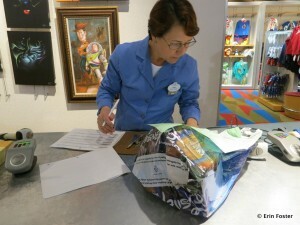 What have your experiences been with shipping items home from Walt Disney World? Is this something you’ve done in the past or will consider doing in the future? Let us know in the comments below. Great article as always! I would add one thing – they will not ship alcohol to your resort or to the front of the park. I found this out after buying a bottle of Riesling from the Germany Pavilion in Epcot. I did forget to include that information. You will also run into problems with shipping alcohol directly to your home. However, most airlines will ship alcohol if appropriately packaged. We always stock up on sake, so I get styrofoam wine shipping boxes and just pay the luggage fee to bring them home. It is my understanding club level guests have resort deliveries brought to their room, not the resort’s gift shop. Please correct me if I’m wrong. Also, not that it applies to me, but residents/guests of Golden Oak get delivery to their home. I usually mention that I want shipping while they’re ringing up the purchase and have never encountered any pushback. The key is to ask before they close out the register on your transaction. I had not heard about club level guests getting package delivery, but that may well be the case. There’s no mechanism on the package delivery form to indicate that you’re a club level guest, but my guess is that if you were a club level guest and asked the club level concierge to get your package sent to your room, they’d be happy to help. I’ll do some more investigation on this. Good to know about the Golden Oak perk. Just one more thing to love about the unattainable ultimate WDW sleep spot. Sigh. I feel badly that you had a cast member that acted like doing this service for you was a problem. During our last trip in Nov/Dec, we were asked by a very friendly cast member at the Emporium, if we wanted to have our purchases sent to our resort. Another time I have used the ‘Ship to Resort’ option was when I received complimentary photos when dining at Akershus. After breakfast we walked across to the little shop in the Norway pavilion and were able to ship our photos back to the resort rather than carry them all day long. Once again, Erin, you’ve written a very comprehensive article. I love reading your work. I think you should WRITE A BOOK about everything Disney from your Mom’s point of view. I would BUY IT! You ladies are the best! Thanks for the kind words. Great article Erin!! I’ve used package pick up and shipping a few times during my trips. I once bought the Alice in Wonderland Tea Set at a store in DTD the first day of my trip and wanted it shipped home, so it arrived when we did. (it was a gift for my daughter who wasn’t on that particular trip with me. if I returned empty handed, she would have been a bit upset). Since i bought the tea pot, two cups as well as several boxes of tea, it was a pricey shipment, but it was so nice not to have to worry about packing up all the fragile tea cups and schlepping them all over Orlando trying to find a UPS center to ship them home. They arrived the day I got home, and my daughter was ecstatic that we could finally have a real tea party. On our last trip in October, DH and I purchased some F&W souveniers and had resort delivery send them to BWV. while it worked, it was a bit of a fiasco. The gift shop isn’t actually IN the hotel, it’s down on the boardwalk, the complete opposite side from our room. And while it said delivery by 3pm (our ME bus left at 4pm) it was late!! We didn’t get our package until 345pm and then had to frantically repack our suitcase to make it all fit! While I always like to try and do my shopping the last day of vacation, after I have looked over everything for the whole week, I think next time we’ll shop early. Personally, I avoid having items sent to my resort on the last two days of my trip for just the reason you mention. While mixups are rare, you don’t want to have to worry about whether your package will make to the hotel in time for your departure. Great article. We have carried around our purchases in our strollers in the past. “YEAH” to now knowing we can have things delivered to the resort. See….this is why I read the blog everyday. You never know what you will learn!!!! Thanks Erin!! Ha! I really started using resort delivery in a big way after my kids outgrew the stroller stage. My oldest is looking at colleges now, but I still miss the days when we could employ her stroller as an impromptu shopping sherpa. In 2011, we (Santa) bought a Monorail set and the Castle to go with it and had it shipped home. The total for shipping was about $35 for the two items. In 2012, Santa returned to get the Epcot ball for the set and it cost $50 for the one item. Seems like either this policy changed in 2012, or the 2011 rep we had gave us the wrong price. It seems like the pricing changed. Disney raising its rates is fairly common. The Epcot ball retails for a similar price to the Bambi dress that I wanted to ship to Canada. I was also quoted $50 for shipping. International guests really do suffer on this point. We have taken advantage of the Arribas free shipping on multiple occasions–for large glass vases. They have always arrived in a very timely fashion and impeccably packed! During our escape from Sandy last year, we picked up a big fig for a friend who had agreed (last minute) to help us out and take care of the generator, cats, and chickens while we were off at Food & Wine. We had that huge box shipped to his house, and that too, worked out splendidly! We almost always fly to WDW. For more ordinary souvenirs, I always bring along a large heavy duty LL Bean zip top tote. During our stay we toss the laundry in the open bag which stands up nicely in the closet area. When we are ready to head home, just toss in our park shoes, zip it up and check it thorough. We use the freed-up space in our suitcases for any number of things we might have acquired on the trip. We’ve been doing this for years and it works like a charm! Added bonus is that the tote can go straight to the laundry room when we get home. Thank you, Erin, for collecting all this valuable information in one well-organized and well-presented blog entry!!! I’m jealous of your Sandy escape. We had 11 days without power. We really should have hightailed it out of there to hang with Mickey. I’m glad to know that the Arribas shipping worked well for you. I hadn’t used that version of the shipping service myself, so it’s nice to have some personal reporting. Thank you. 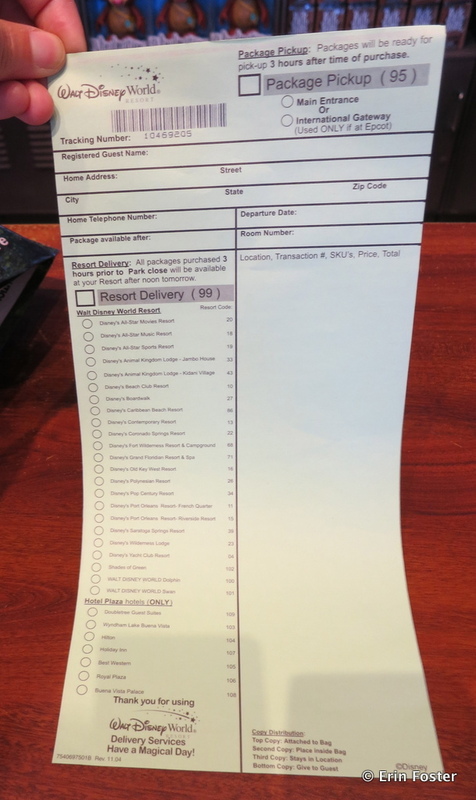 Don’t know if it is still true, but…if you have everything sent to your resort (from different shops/on different days), you can then have the resort ship it ALL home for you together (based upon total price, not weight). An alternative to the business center? Arribas packs beautifully – and we saved the sales tax – but we did have to pay shipping (some items excluded from the free shipping offer) – we did ask if we could get free shipping. You have to pay extra charges for additional shipping things. you can contact with your shipping company.